It has now been five days since 20-year-old Indiana University student Lauren Spierer was last seen, and the panic surrounding her disappearance seems to escalate each moment. How can I tell? Not from news outlets, who have done an admirable job covering the story but cannot possibly devote themselves to minute-by-minute updates. Instead, I’ve been rabidly clicking refresh on my tabs for Twitter and Facebook. With the account @NewsOnLaurenS, the hashtag #FindLauren, the event ‘Urgent! Please help spread the word about Lauren Spierer’s disappearance!’ and the page ‘Help Find Lauren Spierer, an enormous community has sprung up overnight in support of finding this missing girl. The response has been overwhelming: With over 6,500 followers on Twitter and another 71,802 attending the event on Facebook, news of the student’s disappearance has traveled quickly. It makes you wonder what is possible in the real-time far-reaching world of social media, and how effective this type of crowdsourcing can be. The primary purpose of this campaign, at least in the beginning, was to crowdsource individuals for participation in three-times-daily searches in and around Bloomington. To this end, and many others, it has been successful. Hundreds of people, acquaintances and strangers alike, have volunteered in droves for the search parties. And though hope may be slipping through the public’s fingers, they also refuse to give up. Despite being a grassroots effort, the campaign’s momentum is in no way random: the strategic targeting of influencers, from celebrities to news outlets, has dispersed the news swiftly and in staggering numbers. With users pleading celebrities to retweet their message, the hashtag #FindLauren has earned over 20 million hits. It has been retweeted by celebrities Ryan Seacrest, Scott Baio, and Donnie Wahlerg, as well as other public figures, such as NFL star Desean Jackson. With Lauren’s photograph now appearing in millions of tweet streams, and a ‘flyer-tagging’ movement on Facebook, in which users are encouraged to change their profile picture to Lauren’s “missing” flyer and tag friends in order to spread the word, the campaign feels like a real movement. It’s a cry for help that people are listening to. And although not everyone can grab a flashlight and upend Bloomington, IN, the support must provide an emotional uplift for Lauren’s friends and family. The campaign surrounding Lauren Spierer is proof that social media can be used in significant and positive ways. This may be old news, as most people are aware of the role Facebook played in the Egyption revolution, but it doesn’t cease to inspire me. In what other ways have you seen social media inspire community outreach? And, at the end of the day, what tangible effect does it have on people’s lives? Please leave your opinion below, and don’t give up on Lauren Spierer. Another great post Matt! When my friend first sent me an article about Lauren I x’ed it out and simply said “yet another missing person”– but after you have brought light to this, I am shocked to see how large of a roll social media has played. I have seen the slow integration of social media in movies, TV and NOW missing persons. 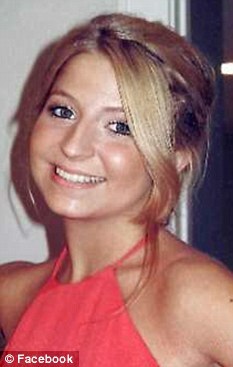 This is truly amazing– and I hope everyone’s tweets, retweets and pictures help to ultimately locate Lauren. It’s great to hear about these kind of hopeful stories when there’s so much conversation just around converting Followers/Fans/Whatever to customers. I really hope all these efforts, and all the strangers who are getting involved, helps find Lauren. Fingers crossed, Matt!